In this international bestseller investigating the murder of the Russian Imperial Family, Helen Rappaport embarks on a quest to uncover the various plots and plans to save them, why they failed, and who was responsible. While the murders themselves have received major attention, what has never been investigated in detail are the various plots and plans behind the scenes to save the family—on the part of their royal relatives, other governments, and Russian monarchists loyal to the Tsar. Rappaport refutes the claim that the fault lies entirely with King George V, as has been the traditional view for the last century. 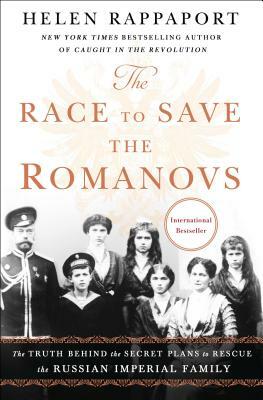 The responsibility for failing the Romanovs must be equally shared. The question of asylum for the Tsar and his family was an extremely complicated issue that presented enormous political, logistical and geographical challenges at a time when Europe was still at war. Helen Rappaport studied Russian at Leeds University and is a specialist in Russian and Victorian history. Her books include Caught in the Revolution: Petrograd, Russia, 1917 - A World on the Edge, A Magnificent Obsession: Victoria, Albert, and the Death That Changed the British Monarchy and The Last Days of the Romanovs. She lives in West Dorset.